A three-day course at Currumbin on the Gold Coast covers the key Barista skills – efficient workflow, grinder settings & milk steaming. 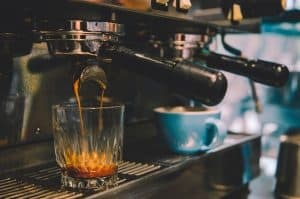 Supervised by experienced barista trainers, this is the perfect training for you if you are thinking about becoming a barista, or just want to learn more about the art of making the perfect espresso based coffee. Working on industry standard professional equipment in real world scenarios you’ll learn the basics of consistent dosing and tamping, grind adjustment, and tasting. 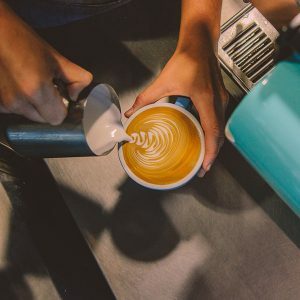 You’ll go on to learn how to steam and pour milk to produce attractive and creamy-textured Flat Whites, Lattes, Cappuccinos and more. Our hands on training emphasises the importance of consistent quality & offers work experience in the award winning Currumbin RSL. The café environment is an important part of many people’s day. That first cup of great tasting coffee prepared by their favourite Barista is a really good start to the day and the aroma of a great smelling espresso coffee will bring people in off the street. But once they are there you will want to impress them with the perfect coffee and your service in order to ensure they return. Of course no-one wants to hear your life story or listen to you recite at length about the harvesting of coffee beans in Columbia; but patrons do want to be greeted as if their custom is important and they wish to be looked after by staff who are truly friendly, helpful and knowledgeable. In the Accredited Barista Course will learn many of the duties and skills involved in this very rewarding job.